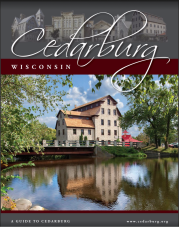 In October, 2018, the Cedarburg Chamber of Commerce Board of Directors refreshed the original 2016 drafted plan guiding the chamber through the next several years. This plan was developed through feedback from several visioning sessions involving chamber members and the community-at-large. This document is "live" and will continue to evolve on at least an annual basis as the chamber continues engaging members for long-range planning.